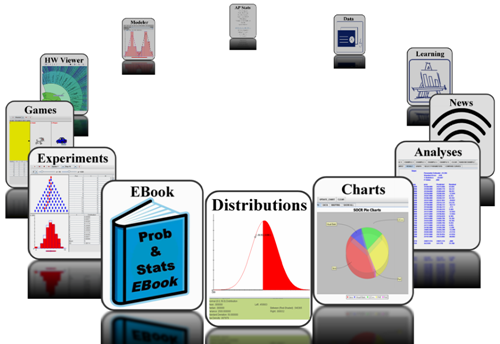 Interactive Java applets: these include a number of different applets, simulations, demonstrations, virtual experiments, tools for data visualization and analysis, etc. All applets require a Java-enabled browser (if you see a blank screen, see the SOCR Feedback to find out how to configure your browser). Please consider making donations of any size to support SOCR student stipends (for resource development and conference travel) and instructor-training/continuing-education workshops (travel and stipends for K-16 educators to attend annual SOCR-events).